It’s been a two-year journey, and we are finally here! I am miles in the air, flying over Sweden and the rest of Europe to Alicante, Spain where Team SCA and I will begin the final preparations for the Volvo Ocean Race. It is all happening and it still feels incredibly surreal. By the time the race begins, on October 11, it will have been a two-year journey for the sailors and I, a two-year period of applying, trialing, training, dedication, and education. My background is in photojournalism, visual storytelling, and sailing. My love for photography began when I was 13, when I saw a Walker Evans photography exhibit in New York City. For me, Evans’ street photography opened up a new genre of photography: photojournalism. Fast-forward over the years and I graduated from the University of San Francisco with a degree in non-fiction writing and photojournalism; I was also the photography editor at my university’s paper. Then, last year, I moved to Maine to complete course work in photography and visual storytelling. When you have the likes of Rome Kirby racing in your hometown waters, learning to sail was a bit intimidating as a kid. Nonetheless, sailing was in my blood (my mom came to Newport through sailing) and so my love for the ocean and sailing began at an early age. After university I began working on sailing yachts (primarily superyachts), and I did this for about five years. It was during these years where I started photographing sailing events—by no means was I a professional photographer but I was able to photograph some fairly high profile sailing events including the Newport Bucket, the Caribbean 600, and my favorite: Sail for Hope in Newport, RI (Well, my favorite before I began working for Team SCA). Before joining the team full-time in mid-June, I had roughly 23,000 nautical miles under my sailing boots. Since then, I have lost count. There is no doubt that the Volvo Ocean Race (VOR) is an extreme sailing race—after all, “ Life at the Extreme” is the VOR slogan. So it should be of no shock that my job as Team SCA’s On Board Reporter (OBR) is a bit extreme. There’s traditional blogging and visual storytelling, and then there is on board reporting: every day each team’s OBR delivers 250 words, five to seven still images and a two-minute video story, all while the boat is racing as fast as possible around the world in extreme temperatures and sea state. Aside from doing the work of typically three people, I also help out the girls by cleaning, cooking, and bailing out the gallons of water that inevitably find their way inside the boat. This type of visual storytelling is my favorite. The stories are intimate, awesome, and inspiring. The girls are in their element and nature is always putting on a show, whether it’s 20-foot seas and 30 knots of wind or no wind and glass-calm water. Furthermore, because I am delivering words, photography, and video I am able to give the world a more complete story. 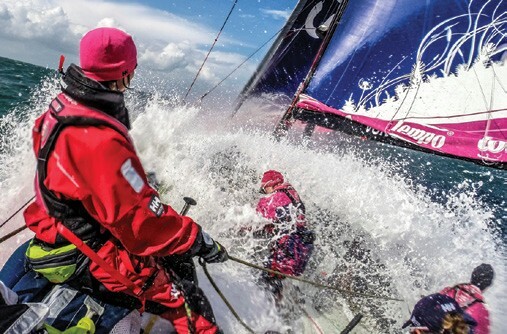 Hopefully, Team SCA’s followers will really have a solid understanding of exactly what it is like on board. Some people may call me mad, especially since I am not allowed to help sail the boat in any way, but in all honesty this is the coolest job I have ever had. Not only is the job physically demanding (and I love being active), but the world is my oyster when it comes to how I tell the story of 13 women racing around the world on board Team SCA. And it’s this story that gets me up at 6am every morning for our early gym sessions. 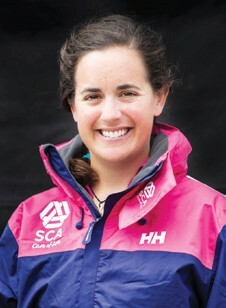 Team SCA is not just a sailing team; we are a team of role models. We are a team of women who have been given the opportunity to fulfill our dreams of racing in the Volvo Ocean Race in order to inspire women around the world. Each day I meet someone new (male or female, young and old) whom my teammates and I inspire. We hope that we are giving little girls (and big girls) the chance to dream big and know that if you put your heart to your dream, you can achieve anything. After all, each and every one of us within Team SCA is here through daring to dream big and having the dedication to do our best. had! Every day, as we continue to travel on our conveyor belt, is a new opportunity to learn something new about our job. Each day, the sailors and I pull back a new layer of the flower to experience a new element that will, without doubt, give us a better understanding of the boat, the race, our jobs, our team, and ourselves. And the fact that it is a complex experience, not just a sailing race, makes this job more interesting than I could have ever imagined. Considering it’s been a two-year journey for all of us, it’s strange to think that the “main event” is at the end of the journey. That in ten months time, we will all begin working on new projects. It’s surreal to say the least. Staying organized, keeping my cameras’ batteries fully charged, and living in the moment is the essential way to enjoy this experience, as I have a very good feeling the next ten months are going to speed by. This said, we are just about to land and it’s time to greet the girls after their 1,500 nautical sail from England! 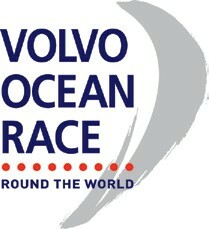 Editor’s note: The first event in the Volvo Ocean Race 2014-15, an In-Port Race in Alicante, Spain, is Saturday, October 4. The first leg of the 38,739 nautical mile ‘round-the- world race, from Alicante to Cape Town, South Africa, starts October 11, 2014. The race makes its first-ever stopover in Newport, RI next spring, and the Newport In-Port Race will be held on Narragansett Bay on Saturday, May 16. “We are very much looking forward to Newport,” Volvo Ocean Race CEO Knut Frostad said recently. “[Newport] is clearly the sailing capital of the United States. It’s shaping up to be the best U.S. stopover ever.” Log onto our Volvo Ocean Race page for more information…and make your hotel reservations soon! 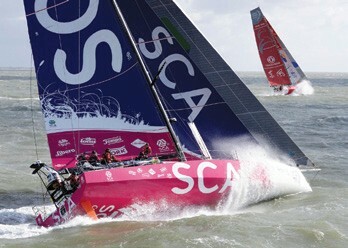 To follow Team SCA, visit www.teamsca.com.